The environmental mitigation measures as addressed in the EIA and EMP shall be fully implemented to avoid and alleviate the Project’s impacts throughout the Construction Phase. The following relevant standards have thus been applied, based on the Lao PDR Law and the World Bank Group’s guidelines. Prior to the construction period, an air quality monitoring was conducted and indicated that the concentration of the particulate matter less than 10 microns in diameter (PM10) was higher than the World Bank’s guidelines – especially during March to April – due to forest fires and agricultural crop residue burning which, like in other countries across the ASEAN region, have created smoke haze and dust particles in the atmosphere. Therefore, the Applicable Ambient Air Quality Standard agreed in the Concession Agreement is set up as interim targets for a staged approach to achieving the recommended guidelines. The PM10 limit values have gradually been reduced from 500 µg/m3 to 300 µg/m3; while the SO2 and NO2 limit values have not changed (please see details in the table below). The noise limits shall be complied with, using any sensitive receptor installed in the potentially noise-affected ambient environment, surrounding the Project within both Hongsa and Muang Ngeun. Noise from Blasting – The maximum level for airblast is 115 dBA. 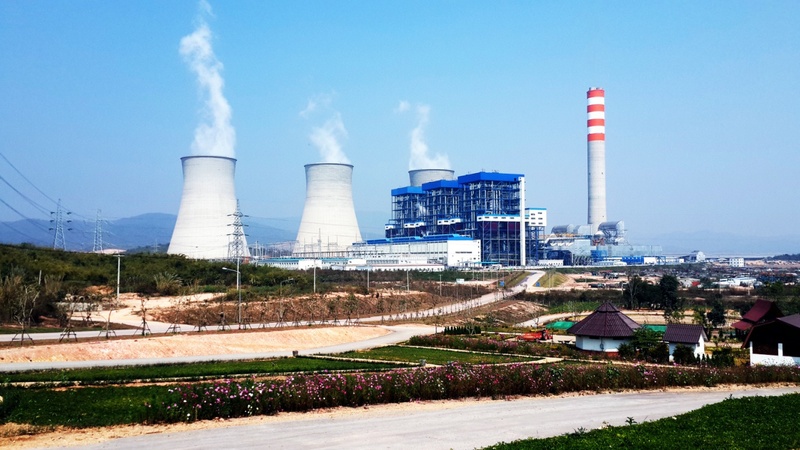 Intermittent Noise From Power Plant - Levels should not exceed 120 dB(A) at the Power Plant boundary when the steam blowing of the Power Plant pipework is carried out. From the beginning until after the Commercial Operation Date, the Company shall ensure that the 24-hour average noise from the Power Plant does not exceed 70 dB(A) at the Power Plant boundary, and that the instantaneous noise limit (other than the intermittent noise events described above) does not exceed 115dB(A) at the Power Plant boundary (the “Operating Period Limitations”). The design of transmission line needs to take into consideration the technique that ensures the exposure of Electric and Magnetic Fields (EMF) meets the standards defined in the table below.